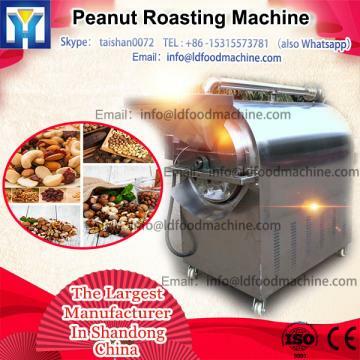 This machine fits for low temperature drying and high temperature baking peanut and other seed products, heat supply is divided into LNG and steam type. Originally set temperature of oven can be regulated via regulating proportional burner controller and parameter of electric steam valve at top of oven so that low temperature drying and high temperature baking can be finished. Structure and function: multifunctionaloven is composed of feeding part, baking part, cooling part, discharging part and vibrationscreen part. c. It has integrated cooling system to prevent the over-roasting and keep the nuts at the optimum condition. d. It has facility designed to realize the recirculation of roasting air.hence decreases the enengy consumption. e. Every door on both sides can be opened for easy cleaning. f. Different areas are insulated for minimum heat loss and lowest running cost. Applications: Peanuts, sunflower seeds, pumpkin seeds, cashew nut, house beans, almond, walnuts, hazelnut, pistachios, pine nuts etc. Delivery time: 30-35 days after received of 30% payment by T/T. Payment terms: 100% payment before shipment. 4. Continuous nut roasting machine Pic. Established in 1995, we are a professional manufacturer and exporter concerned with the design, development and production of peeling machine, nut roaster, frying machine, vegetable drying machine, coating machine, frying nut production line, Peanut Butter Production Line and all kinds of Industrial continuous nut roasting machine/automatic peanut roaster/almond oven production lines. We are located in Industrial continuous nut roasting machine/automatic peanut roaster/almond oven, Industrial continuous nut roasting machine/automatic peanut roaster/almond oven, with convenient transportation access. All of our products comply with international quality standards and are greatly appreciated in different markets throughout the world. Our well-equipped facilities and excellent quality control throughout all stages of production enable us to guarantee total customer satisfaction.